Okay so I read this book earlier in the year; I should have reviewed it when it was fresh in my mind......however as I was looking through old posts I realized I skipped this book and then realized what a crime that is! The Draining Lake is one of the best books I read this year, maybe THE BEST. It has all the things you want from crime fiction: a great mystery, heartbreak, family struggles, historical intrigue..... Arnulder Indridason outdoes himself here. Don't be fooled by the seemingly boring uncovering of a skull at the bottom of a lake as the entry point to this mystery...The Draining Lake will take you to places you never imagined, Soviet era Russia and Iceland and the darkness that communism created. 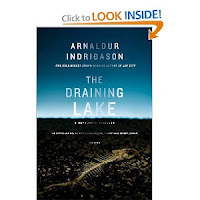 What I like most about Indridason's books are the simaltaneous storytelling he does of the events that lead up to the previously unsolved murder and the present-day detective work of the main character Erlender. I thought the love story between the college students in communist Russia was beautifully told, and although I didn't know how it would lead to the skull at the bottom of the lake I enjoyed the tale. This book will please crime fiction fans and historical fiction buffs alike. the web. 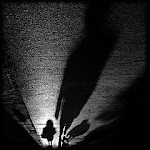 I am going to recommend this blog! in this article? I'd really love to be a part of group where I can get advice from other knowledgeable individuals that share the same interest. If you have any suggestions, please let me know. Bless you!